How Truss Systems are Engineered to Withstand the Most Violent Storms	What Is Zinc Roofing and Its Benefits? A roof is a very important element of any structure, be it a residential or commercial one. In most cases, it is also a very large installation as it covers the entire building. And so, when you are considering replacement of the roofing, there are a number of factors that have to be kept in view. When it comes to commercial establishments, disruption of day-to-day operations becomes one of the major concerns. If there is too much of disruption, it can impact the profitability of the business. And so, when you as a business/factory owner are considering roof replacement, this becomes one of the first things you should be checking with the roofing contractor. It’s important to have a certified and well-established company like RO Roofing handle the work for you, as we will ensure that there is minimal disruption in your workplace. 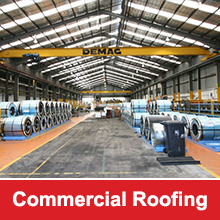 Some commercial roofs are flat and these pose greater challenges for the roofing company. There are expansive flat surfaces, heavy air conditioning machinery, heating installations, piping and air vents. When these roofs are being replaced, all these other elements also have to be removed and reinstalled to perfection. Smooth Operations- When you opt for metal roofs over traditional timber or shingled ones, you know you are making the right choice and your business will run smoothly even when the roof installation work is in progress. These are prefabricated & mechanically attached and the installation is safe and largely quiet. 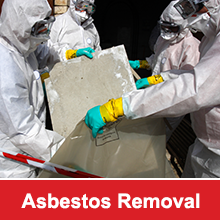 There are no noxious fumes and ultra-loud machinery that can harm occupants or disrupt operations. Disruptions in the course of any roofing installation can end up costing the owner a significant amount of time and money. This makes it very important for you to thoroughly research exactly how the installation is going to be carried out and the types of materials that are going to be used. We adopt a very proactive approach to roofing installation and replacement; maintain very high levels of communication, work as a team and ensure that things keep moving as planned. We also anticipate different issues like the daily business operations, tenant concerns, loading and unloading planning and as well as noise impact. When it comes to any kind of metal roofing installations, RO Roofing are the experts. For more information contact us on (02) 9660 5937.